Irish Coffee is the classic hot coffee cocktail. It is made with coffee, sugar (some use brown sugar), and Irish whiskey, with a topping of cream. The original recipe specifically uses cream that hasn't been whipped; the coffee is drunk through the cream. Variations on the recipe date back a century, but the true Irish coffee was born after a group of American passengers disembarked from a Pan Am flying boat in Foynes, Ireland on a brutal winter night in the 1940s. The local restaurant added whiskey to the coffee to warm them and it became a staple on the menu. B-51, B-52, B-53, and B-54 shots are simple coffee shots can be either layered or mixed. Each tastes slightly different. The B-51 is equal pours of Kahlua, Bailey's Irish Cream, and Frangelico or another hazelnut liqueur. The B-52 is equal pours of Kahlua, Bailey's Irish Cream, and Grand Marnier or another orange liqueur. The B-53 is equal pours of Kahlua, Bailey's Irish Cream, and an anise-flavored liqueur such as sambuca or absinthe. The B-54 is equal pours of Kahlua, Bailey's Irish Cream, and tequila. 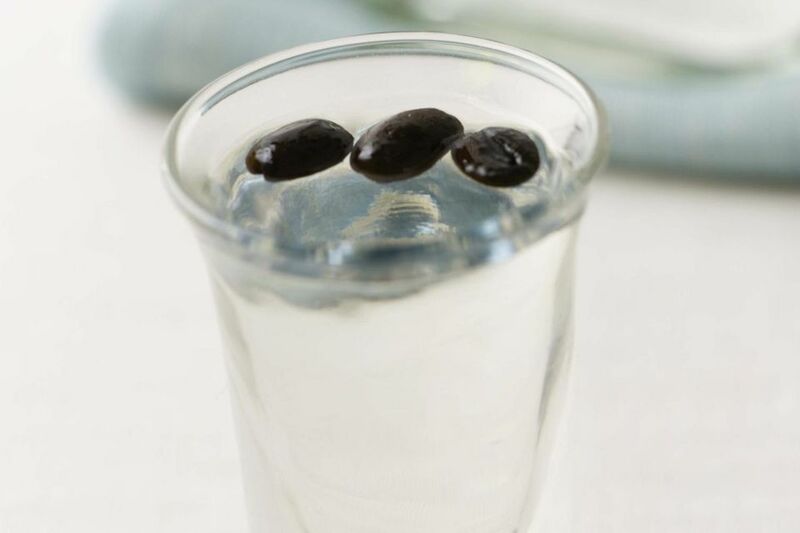 Sambuca and coffee beans is a traditional Italian drink that makes a fantastic aperitif or digestif. The three coffee beans served with sambuca represent health, happiness, and prosperity. It's known as sambuca con mosca which translates to sambuca, ice, and flies. The coffee beans floating on the top of the glass are called the flies. The three beans are supposed to bring more luck than an even number of beans would, but they also serve a purpose—enhancing the elderberry and anise of the liqueur. The easy coffee martini tastes like it sounds (sweet with sneak-up alcohol) and is a breeze to make. It can also be prepared as an espresso martini. It is made with vodka, Kahlua, white creme de cacao, and espresso or coffee. Coffee-infused vodka can be used as a base for more elaborate drinks or a flavorful variation on regular vodka. It's a fast and easy addition to your coffee/bar menu and you may not go back to buying Kahlua or other brands. A bottle also makes a nice holiday gift. The chocolate mocha-tini is a trifecta of coffee, chocolate, and alcohol. It's a decadently drinkable cocktail. Layered liqueurs and a dollop of chocolate ice cream make for an impressive presentation, and it can be made in no time flat if you have leftover drip coffee or cold-brewed coffee to spare.